Beitar Illit Mayor upset that recent announcement of building in Judea and Samaria does not include haredi areas. Next week, Israel's Higher Planning Committee is expected to approve building 3,829 units in Judea and Samaria. 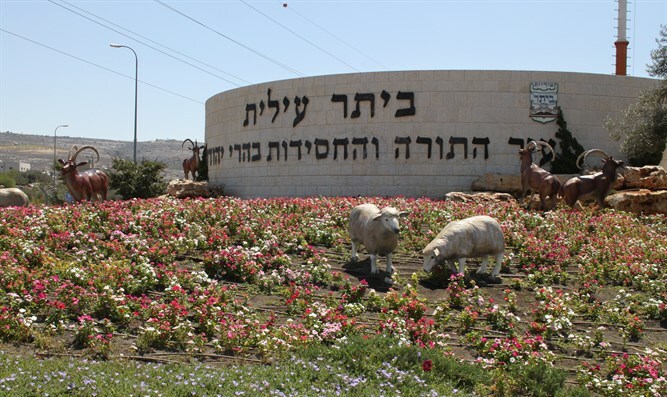 Beitar Illit Mayor Meir Rubinstein is upset that the government did not approve any new building in haredi cities in Judea and Samaria, such as Beitar Illit and Modiin Illit. "This is anti-haredi discrimination in the full sense of the word," Rubinstein said in an interview with Reshet Bet on Tuesday. "While they have approved a few hundred residential units in the past, but relative to other cities, the natural growth in Israel [amongst haredim] is large and the housing shortage is a problem. The government is ignoring Betar Illit." "The government always talks about creating jobs for the haredi community, and here there is an opportunity to promote employment through the approval of an industrial zone for Beitar Illit, but no one cares," he added. "I approached Prime Minister Netanyahu about this personally two weeks ago, and I told him that if we talk about Haredi employment, we should act in this direction and advance the industrial zone in Beitar Illit but nothing happened. I appreciate the Prime Minister, but in the end of the day, one who pressures more receives more." The haredi community has been growing at a rapid pace in Judea and Samaria, and now makes up a third of all residents. The main haredi cities are Beitar Illit and Modiin Illit, along with Tel Tzion and Emmanuel. Recognizing the growing trend, the haredi website Behadrei Haredim ran a series this past summer titled 'Haredi Settlers' examining the growing haredi population in Judea and Samaria.